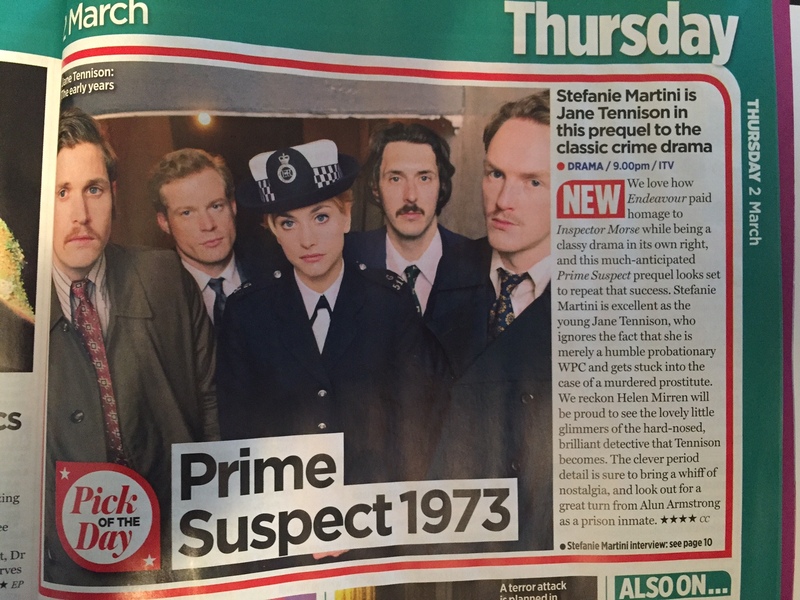 Prime Suspect 1973 makes the Pick of the day in all the TV magazines, including this brilliant review in the TV Times. Phew! 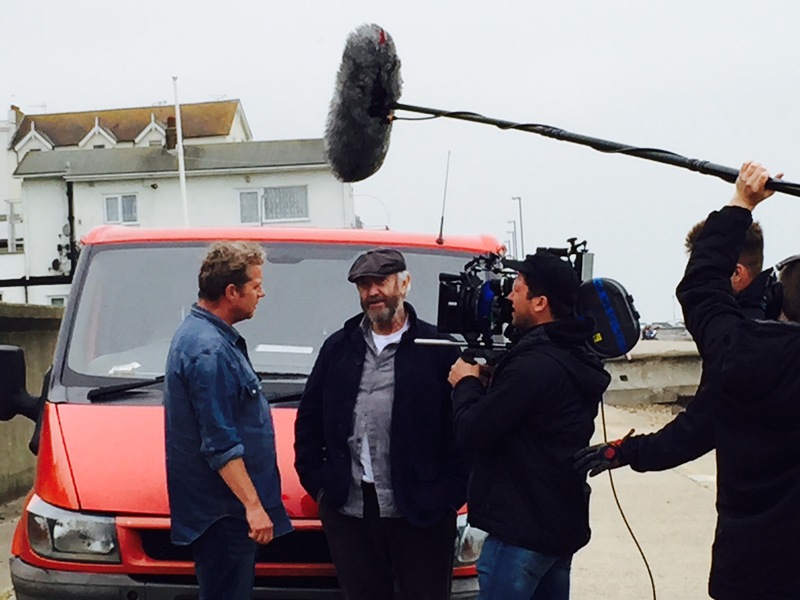 Starts ITV, Thursday 2nd March at 9pm. Check out the new trailer for Prime Suspect 1973. Starts on ITV: Thursday 2nd March 2017. 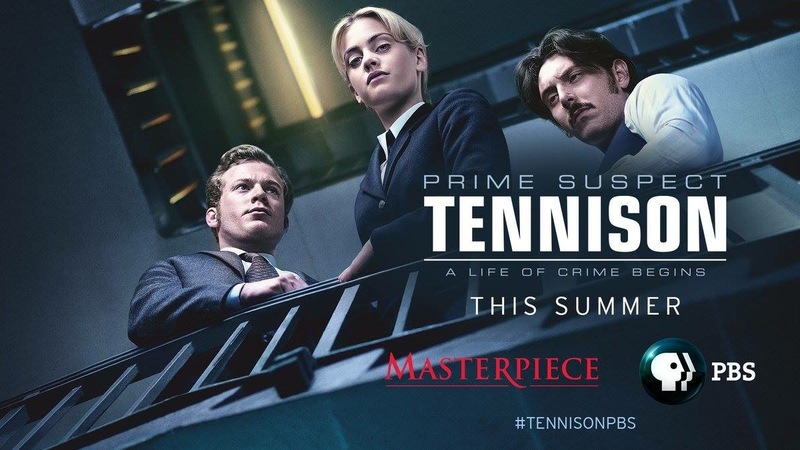 Brilliant new poster for Prime Suspect 1973 (Prime Suspect Tennison in the US) from PBS Masterpiece. 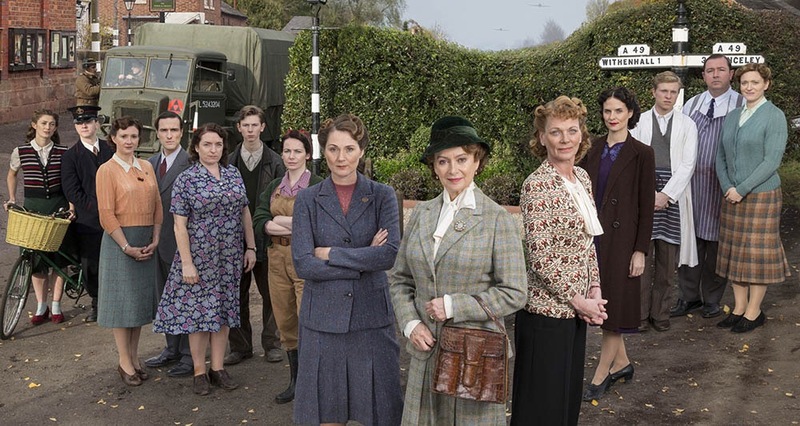 Home Fires series 2 begins on April 3rd, 8pm on ITV. I wrote on the series, which was really enjoyable. Brilliant characters to write and a wonderful cast to write for. Wowsers. Pick of the day in What’s On TV, TV Times and Radio Times. 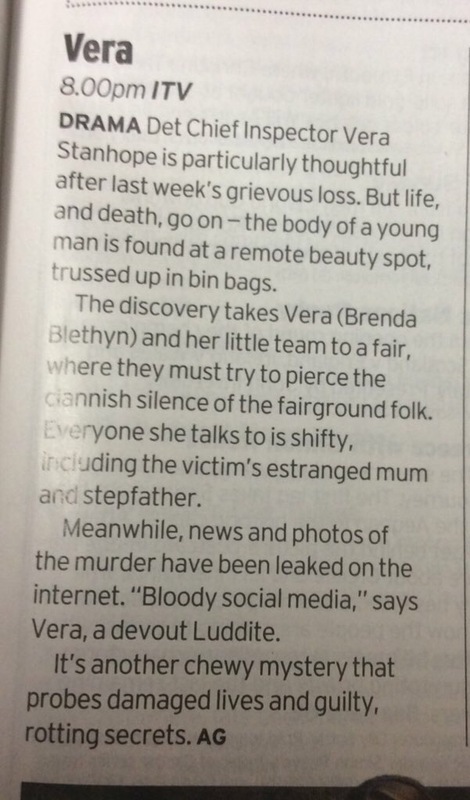 Five star review too, for Tuesday’s Child, episode 2 of Vera series 6. I Helped Write A Song! Men With Ven are a brilliant band based in Whitstable who, aware that I am a man who spends half his life sitting in a shed, asked me to come up with some lyrics for their song “Down The Shed”. I was bloody chuffed that they actually used some of them – and gave me a co-writer credit to boot. No sign of a royalty cheque yet, though. They assure me it’s in the post. Here’s the video! My shed features in it, of course. 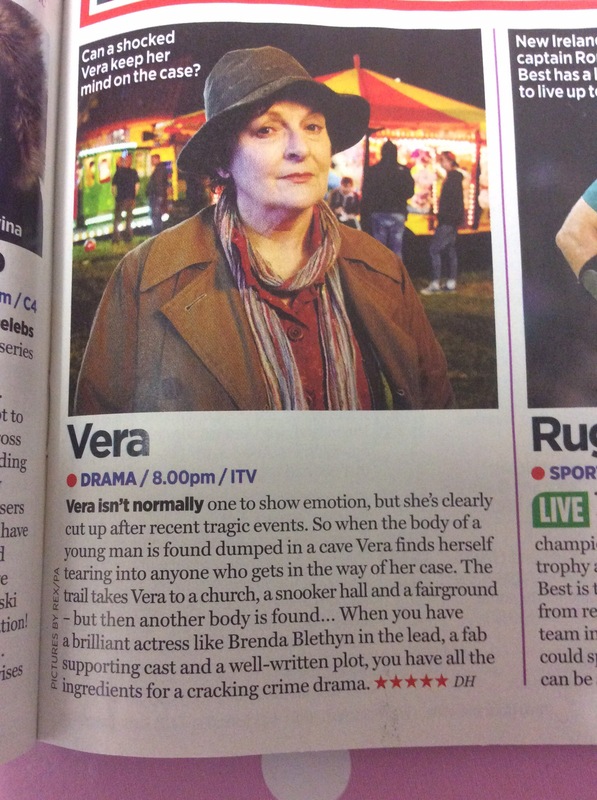 I wrote the second episode of ITV’s hit crime drama Vera. “Tuesday’s Child” will be broadcast in the UK, on ITV1 and ITV1 HD on Sunday 7th February 2016. I hope you all enjoy it. I’ve seen it and couldn’t be happier. It’s a cracking episode, with some wonderful guest performances. Heart-wrenching stuff. In fact, I think this series is going to be the best Vera yet. There are four really strong, emotional episodes, including the adaptation of Ann Cleeves’ latest Vera novel The Moth Catcher in episode 3. 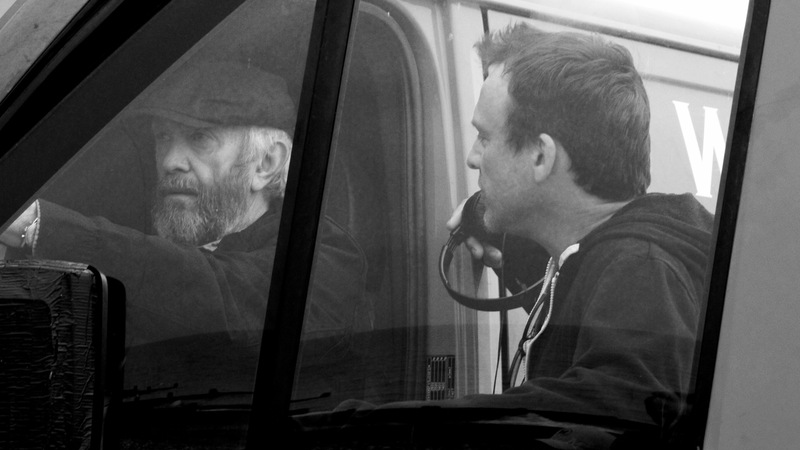 The short film, starring Jonathan Pryce and Shane Attwooll, has now wrapped. 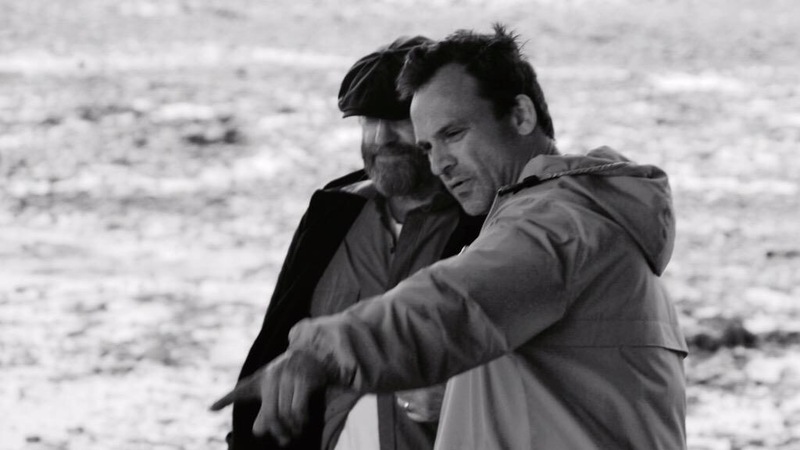 Directed by Luke Losey, it looks like it’ll be a cracking short. Should have more updates toward the end of the year and hopefully a trailer to post up.